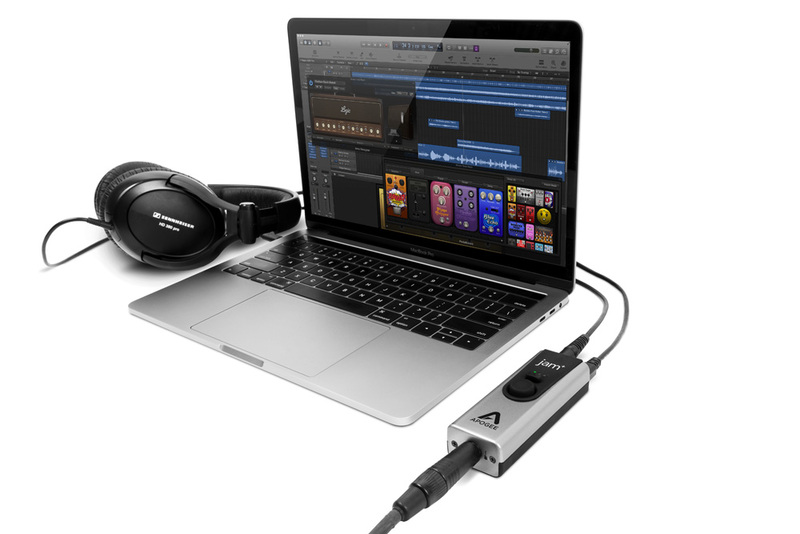 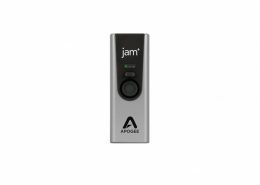 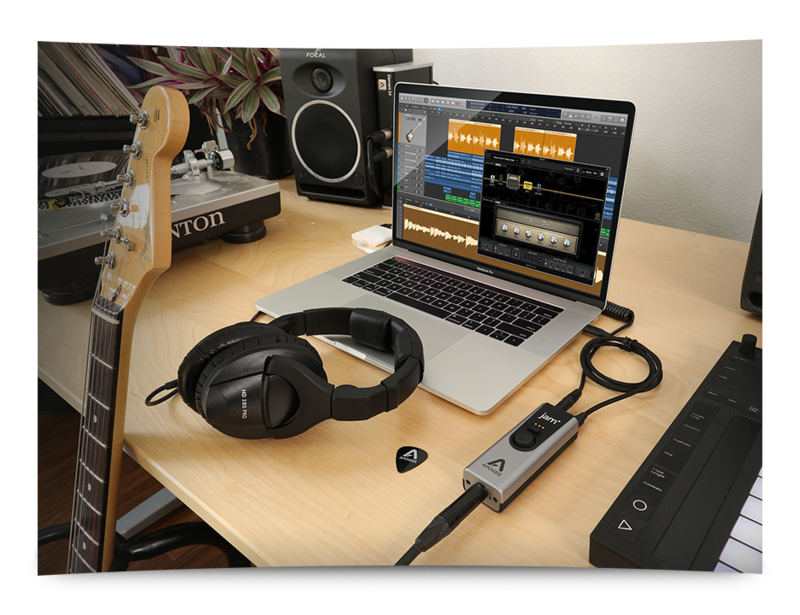 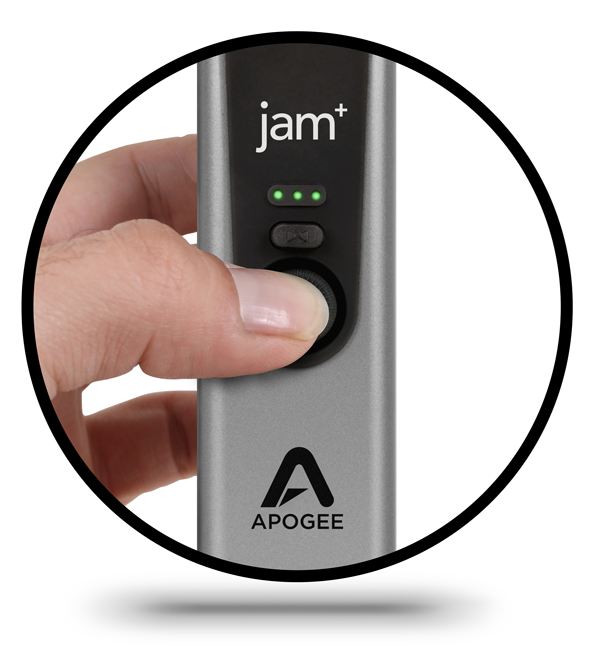 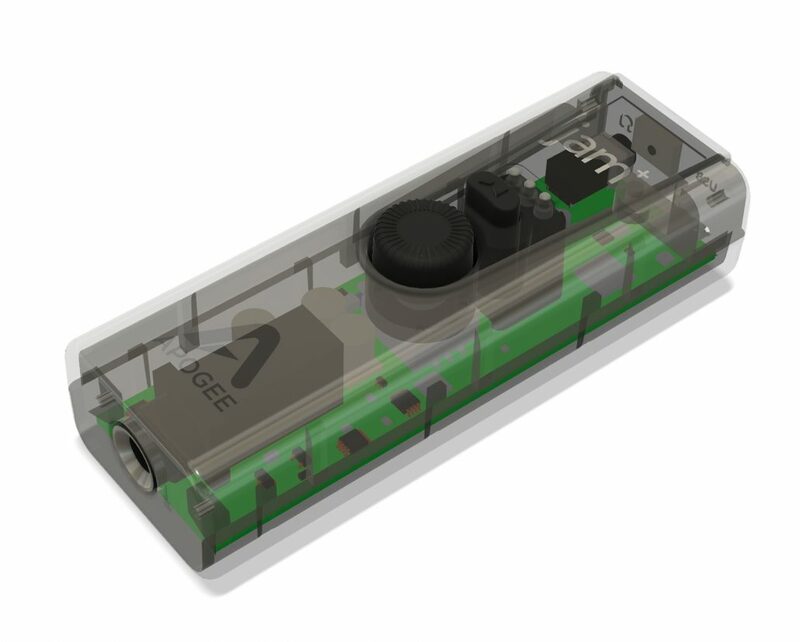 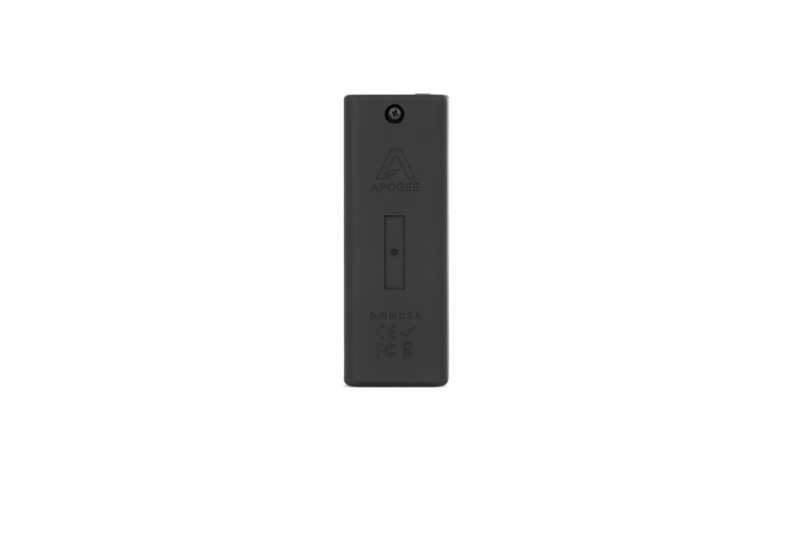 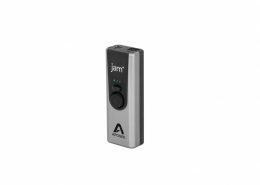 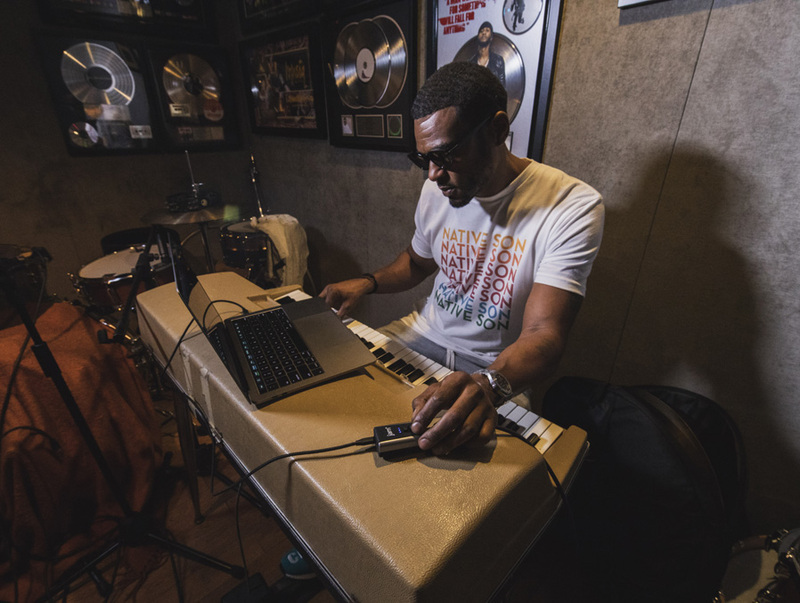 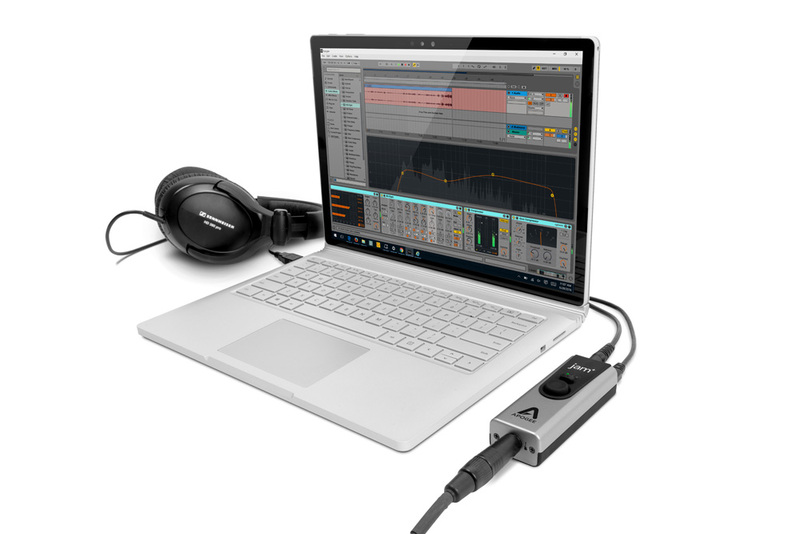 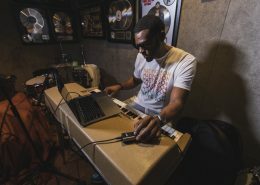 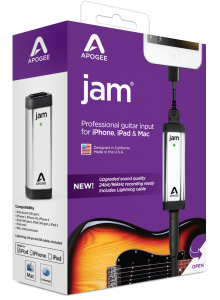 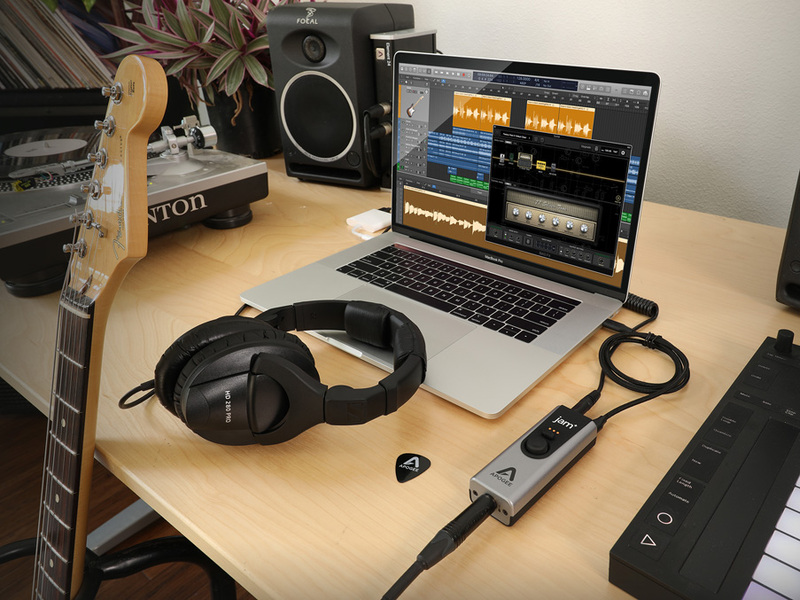 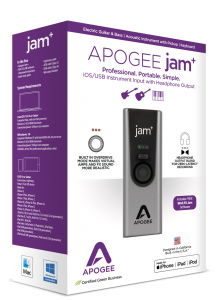 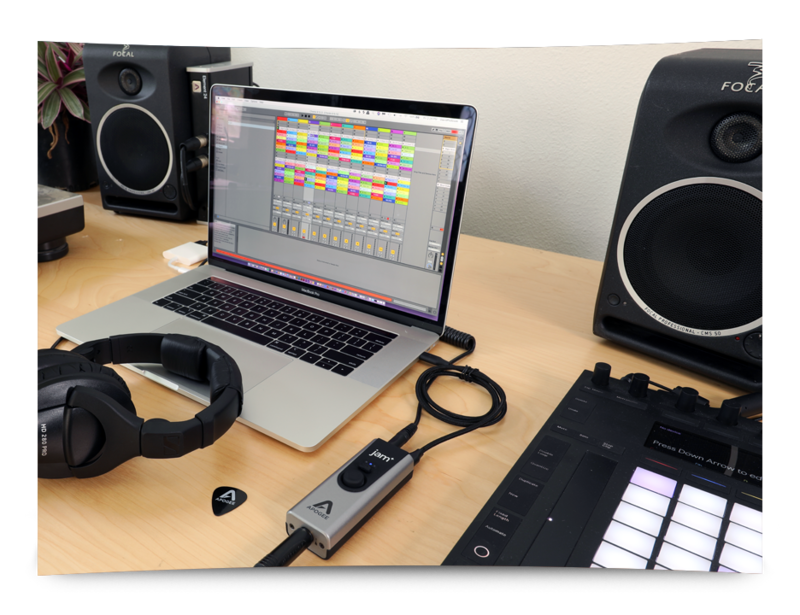 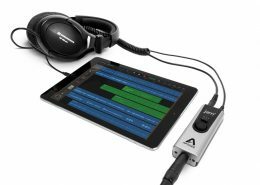 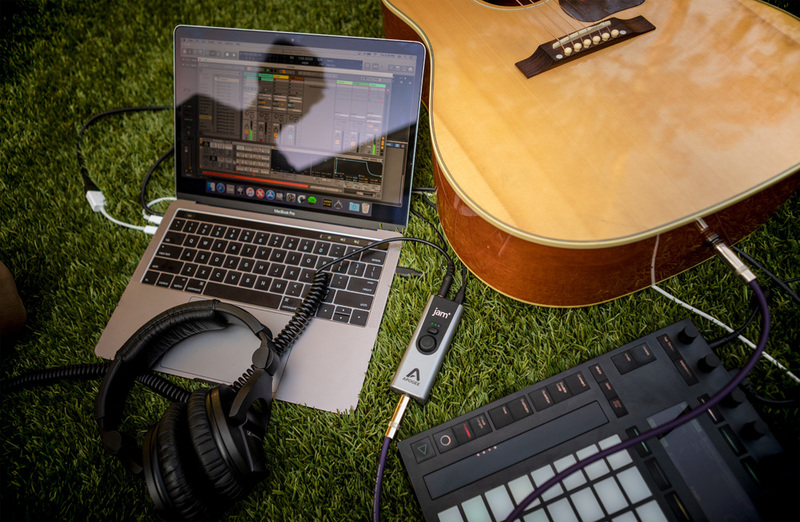 Apogee Jam+ is a professional, USB instrument input and stereo output. 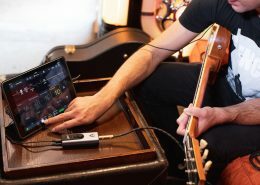 Jam+ connects your electric guitar, bass, acoustic instrument with pickup, dynamic mic or keyboard to your iOS device or computer. 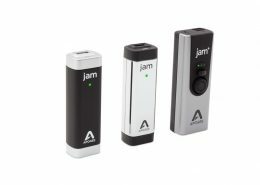 The simplicity and portability of Jam+ make it ideal for capturing your best take anywhere you go. 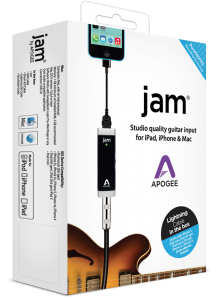 And, the ease of use and sound quality make Jam+ a must-have for beginners and pros. In 2010 Jam was introduced in Apple stores worldwide as the first high quality digital interface to connect guitars and instruments with Mac and IOS devices. 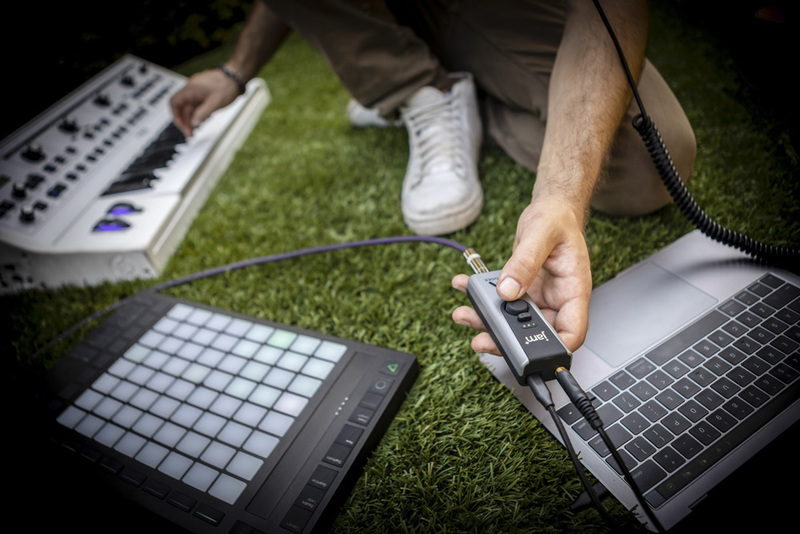 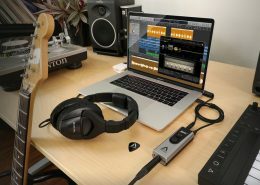 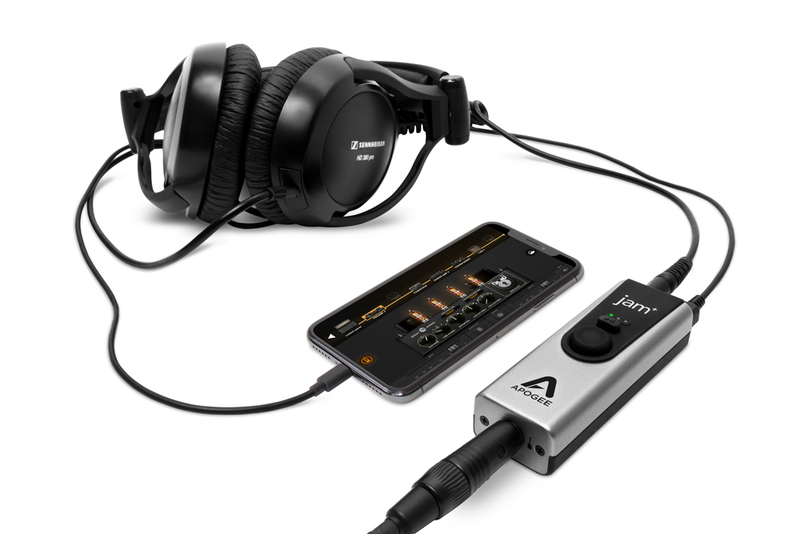 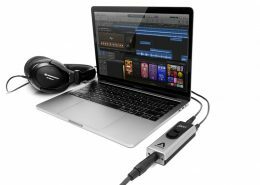 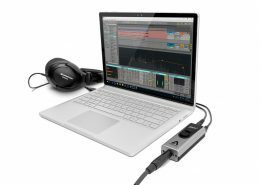 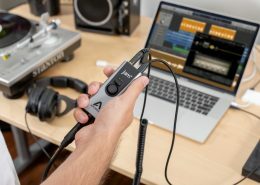 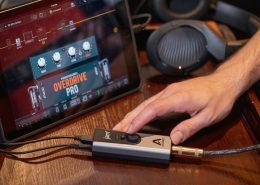 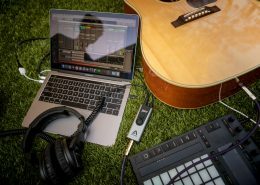 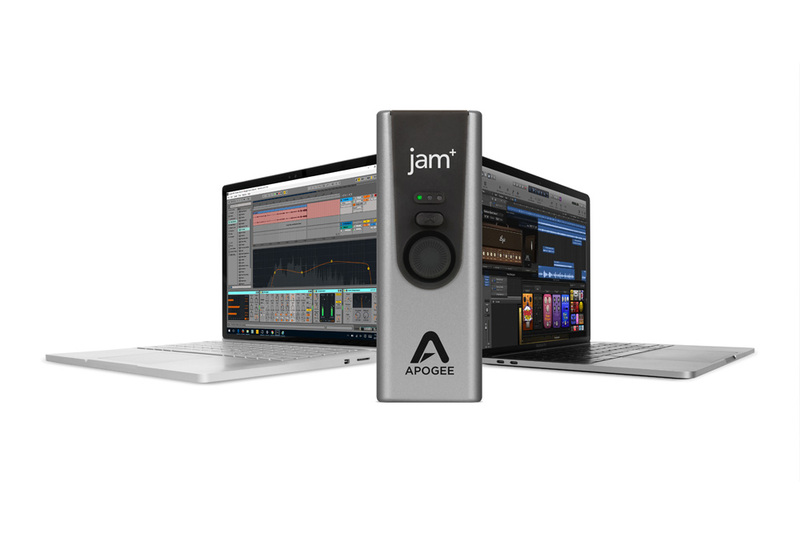 Jam set a new standard in mobile recording by combining Apogee’s renowned conversion specs and components into a simple and portable design. 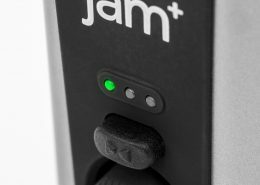 Jam+ continues the evolution in the series bringing the best advances in Apogee’s design and engineering into an all new metal chassis with enhanced PureDIGITAL circuitry for the greatest ‘true tone’ audio resolution. 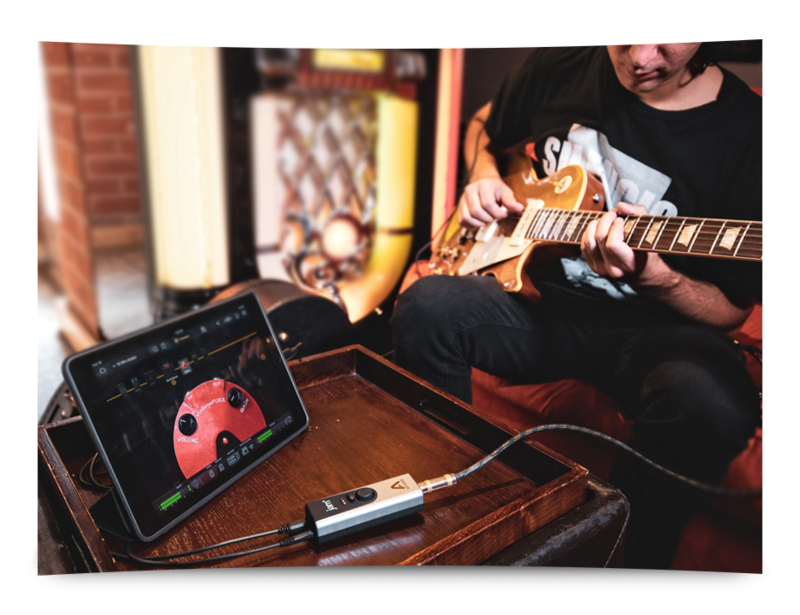 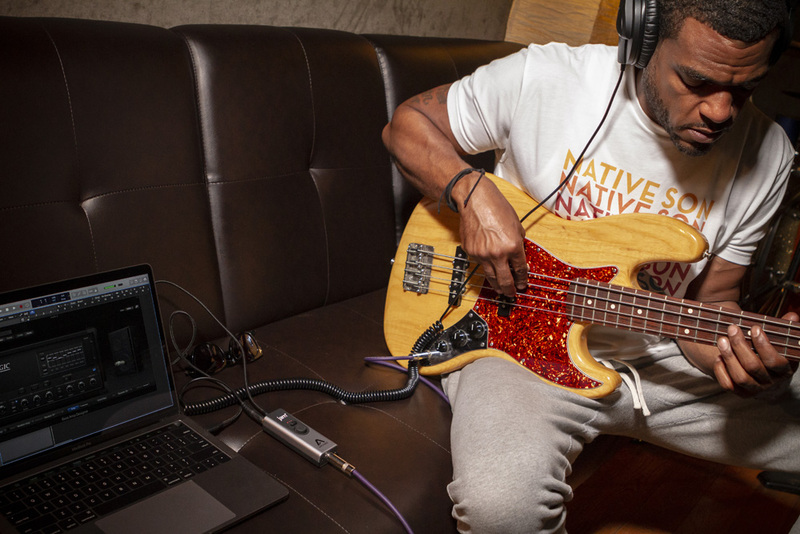 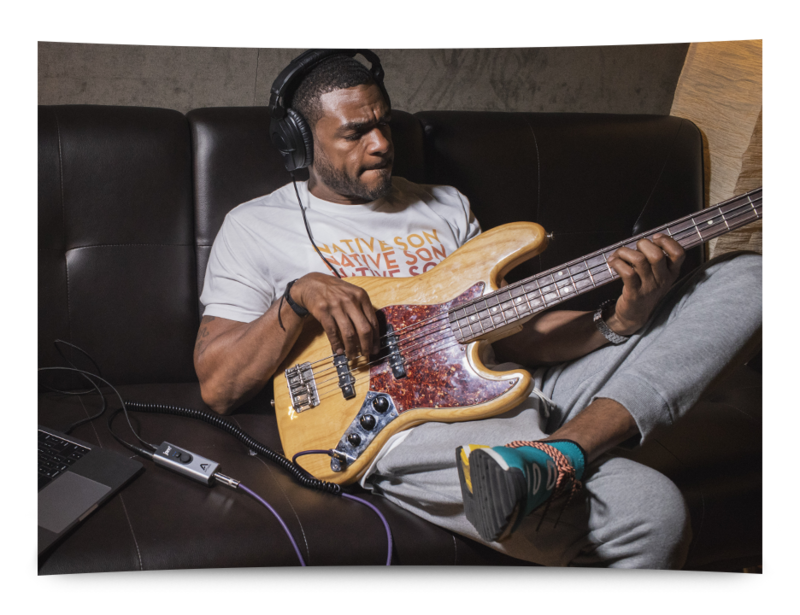 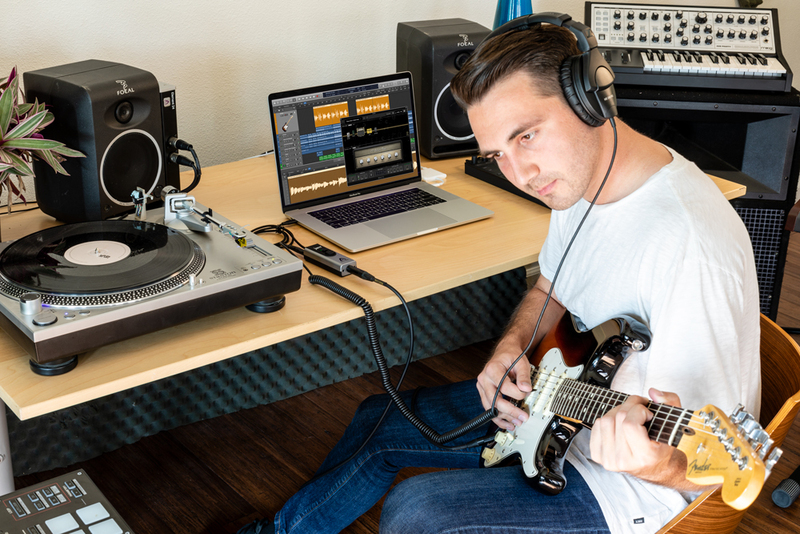 Jam+ now includes a powerful headphone output with zero latency monitoring and overdrive mode to make practise and recording sessions better than ever. 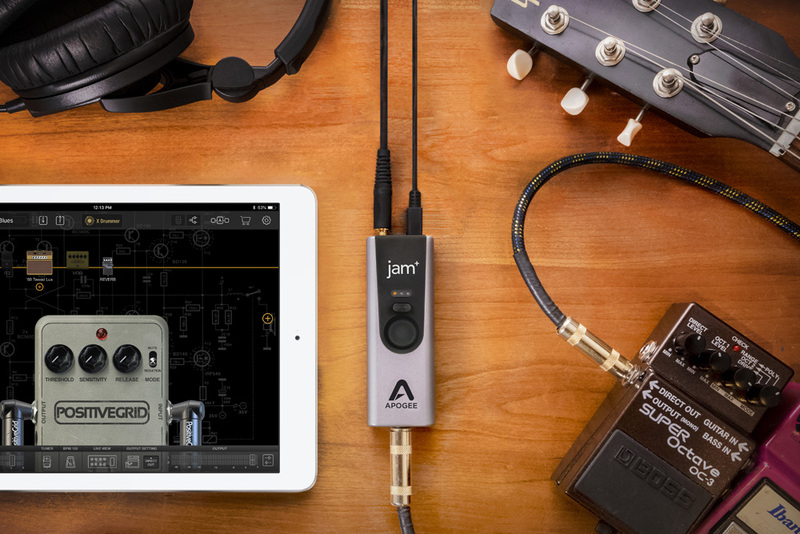 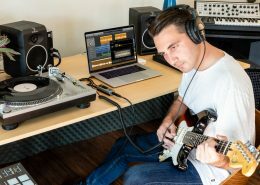 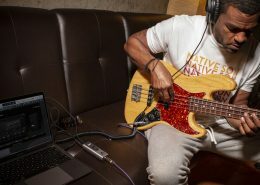 Connect any instrument-level input you can imagine to your computer or iOS device using Jam+. 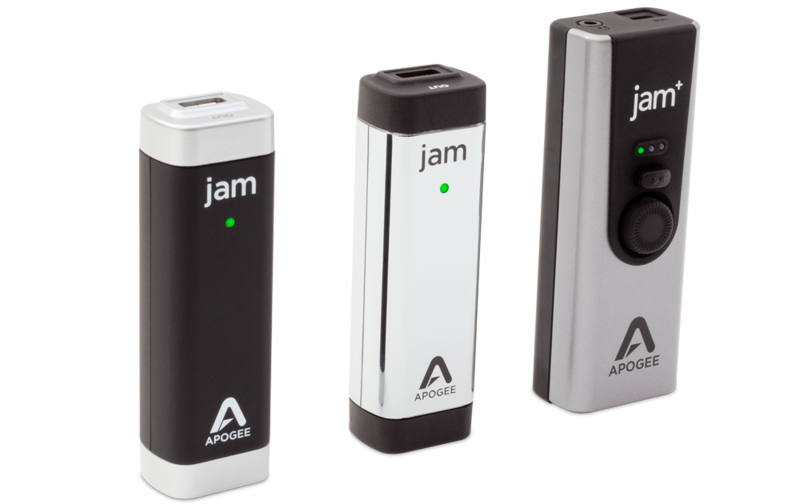 Synth and keyboard, electric guitar and bass, dynamic microphone and acoustic instrument with a pickup - it all works with Jam+. 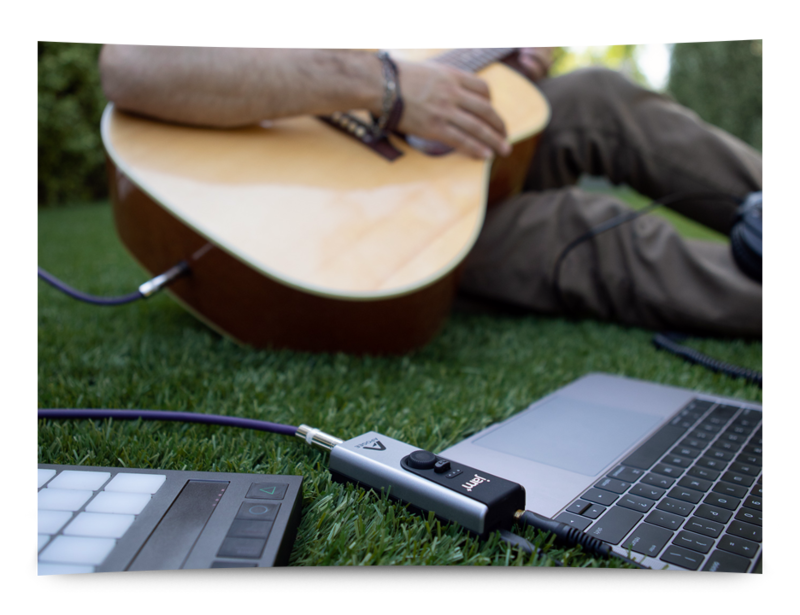 The PureDIGITAL signal path to smooth, noiseless tone, Clean Mode is the ideal setting for pristine, unaffected instrument recording. 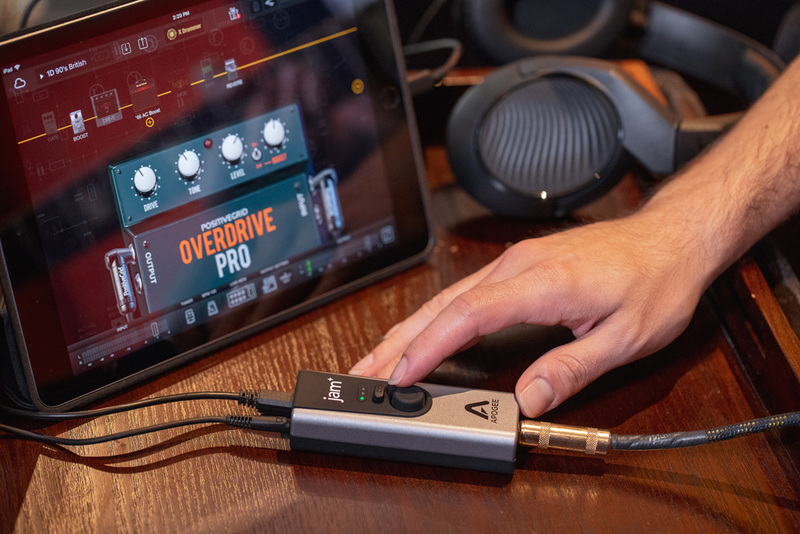 Drive Mode gives you that responsive amp and pedal feel from subtle to snarling distortion and makes virtual amps and fx sound more like the real thing. 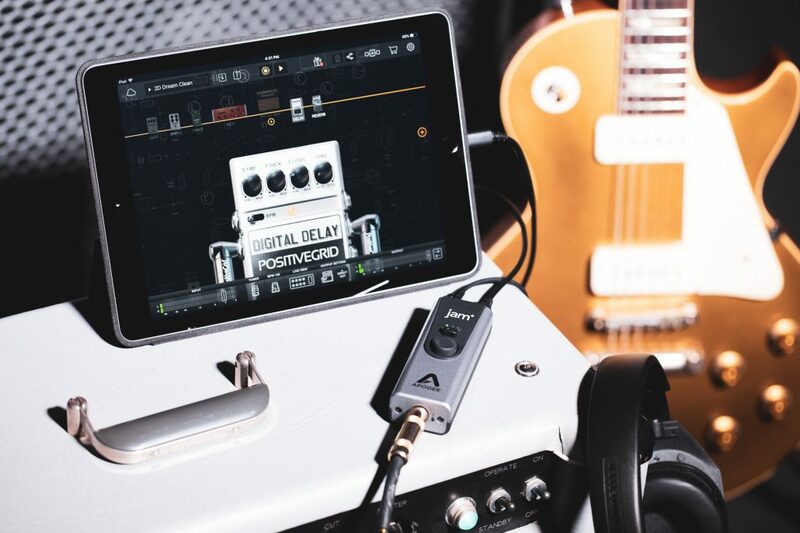 Transform your pristine direct signal into a rich, warm overdrive that can provide everything from a clean boost to a thick distortion in the tradition of the most coveted vintage amps and stompboxes. 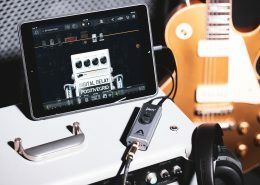 Dialing up Drive Mode also makes your favorite virtual amps and fx sound much more realistic. 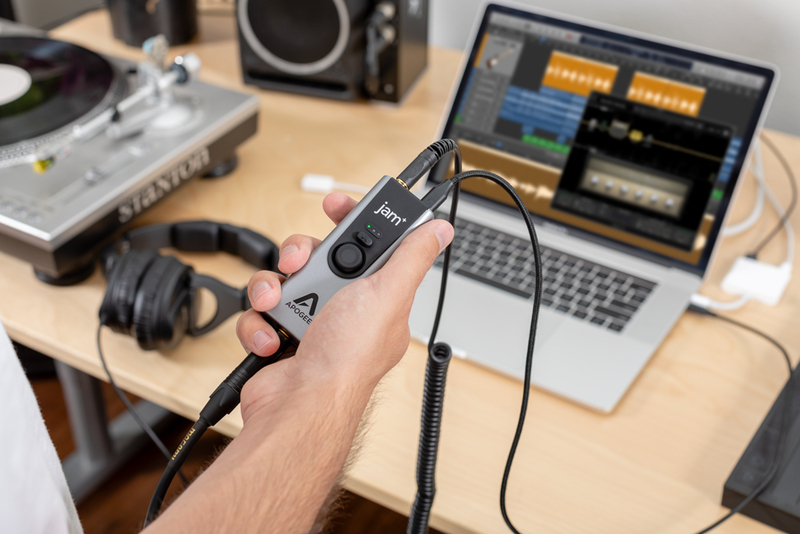 Drive Mode gives you great tone for direct, zero-latency recording. 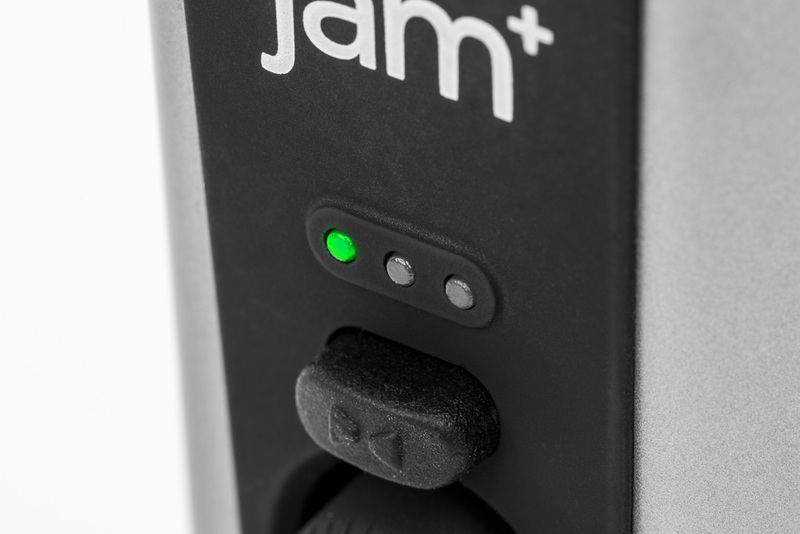 Jam+ also features an ⅛” stereo headphone output and Blend function for zero latency monitoring. 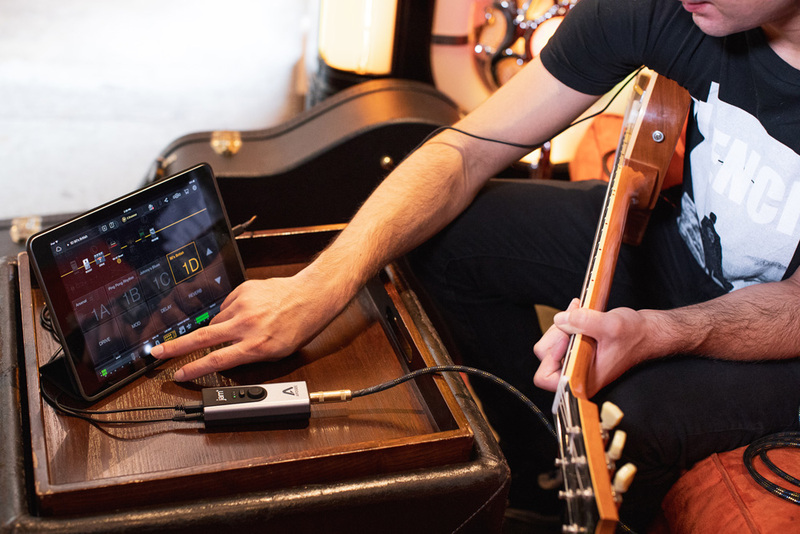 The Blend setting allows you to easily adjust how much direct instrument input you hear mixed with software playback, enabling you to dial in the perfect mix. 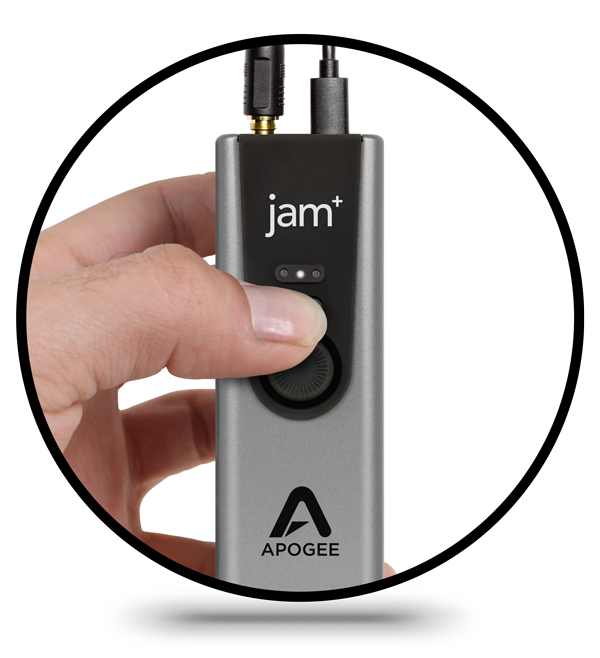 Whether you’re monitoring as you play and record with your favorite app, or streaming music, the stereo output on Jam+ dramatically improves the playback quality of your audio. 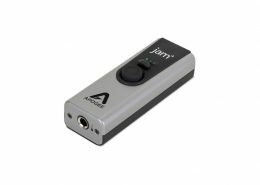 With high resolution sample rates up to 96k and ample headroom, Jam+ delivers incredible clarity and plenty of volume to your headphones or powered speakers. 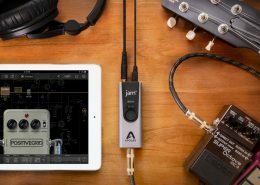 Jam+ combines an analog overdrive circuit, instrument preamp and high quality A/D and D/A converters into one compact device. 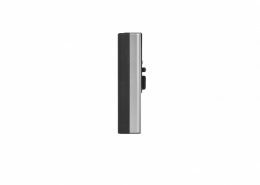 Apogee has designed each part of Jam+ to deliver the highest quality signal possible with the lowest noise – we call this PureDIGITAL. 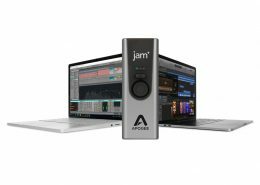 When you register JAM+ you will receive the desktop version of BIAS FX Jam software for FREE from Positive Grid. 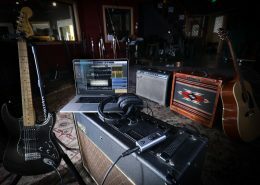 The bundle includes a premium selection of 3 amps, 6 effects and a collection of essential pedals. 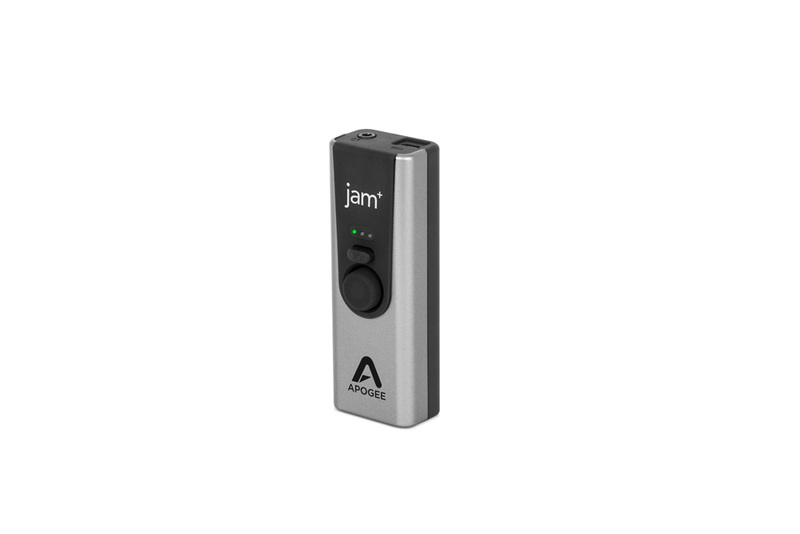 JAM+ and BIAS FX Jam will give you amazing and realistic guitar tone for practicing, performing and recording. 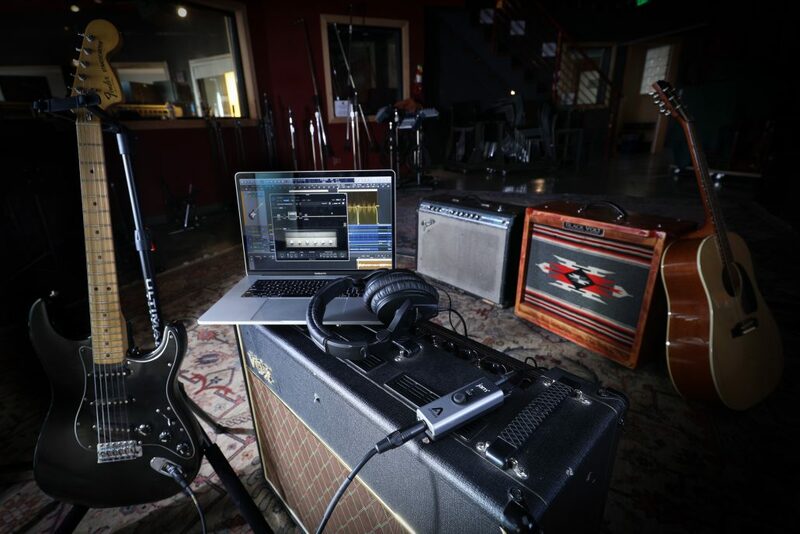 No additional software is needed to plug in and play with professional amp emulations. 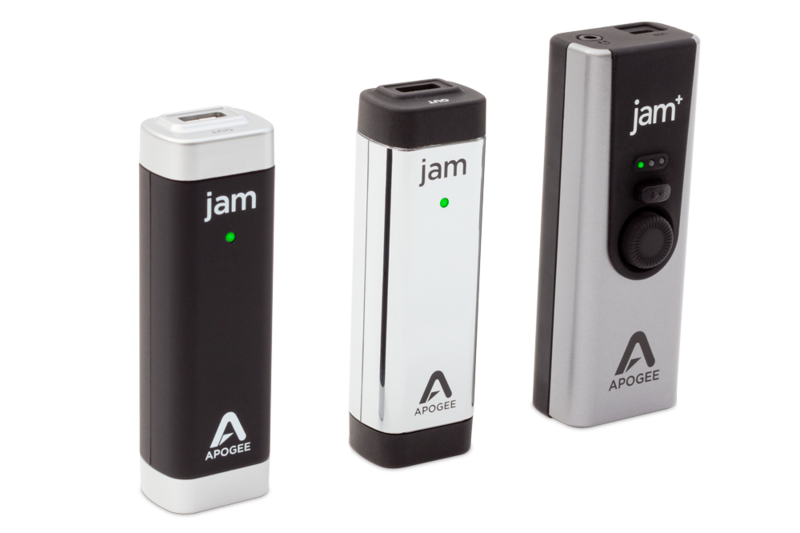 © Copyright - Apogee Electronics Corp. All Rights Reserved.